COMMENT: British Airways - What Now ? According to the Cyprus Mail a Sri I Lankan student was on Saturday (17 October) arrested at Larnaca Airport after trying to fly to Paris with a stolen passport. The “student” presented German paperwork to the duty officer who noticed straight away that the passport photo was of a blond German. When the officer asked the student where he would like to go, he answered simply "Auf Wiedersehen" (“Goodbye” in German). Larnaca CID arrested the student for forgery and unlawful impersonation. According to a Larnaca News Agency report, he had paid €5,000 for the passport. A spokesperson for Larnaca CID said that the student was remanded in custody for four days, before going to Larnaca District Court on Monday. "If he is found guilty, then he will be sentenced to between four and eight months in prison. After that he will go back to his country." It seems that these “bright” students are a regular feature at the airport. The spokesperson said that passport infringements such as this were a weekly occurrence. What AERBT would like to know is just what the fellow is a student of? There is cause for concern that British Airways may be forced to stop flying in the weeks leading up to Christmas due to the cabin crew going on strike. Two points have to be made. Firstly that it needs staff members to vote by a majority (some would say a large majority) to take industrial action, and secondly for the most part striking has never been successful, often both parties losing out. Take a look at the Unite web site and read some of the press releases. Depressing. How is the country to march forward with such utterings! Some of us can remember “Red Robbo” and the turmoil he caused at British Leyland in the 1970s. Other factors came into play but the net result was the collapse of the United Kingdom’s home car industry. The UK still makes motor cars, and even more than in those times, but today production is controlled by foreign owners whose first priority is to satisfy shareholders, not the British workforce. Could British Airways fall to some foreign predator? It is an interesting question. Just like buying cars, people will still fly. Today’s British Airways is the product of a state airline privatised, but not properly, throwing off the baggage of years of a civil service mentality. Its pension fund crisis is a the outcome of more than generous pay schemes in the past, early retirement in the case of pilots, and, as with everyone else, people living longer. Willie Walsh, a former pilot, arrived at British Airways in May 2005 with the reputation as the tough boss of a small airline, Aer Lingus. He took over from Rod Eddington who had steadied a rocky ship inherited from Rob Ayling, previously a Department of Trade and Industry lawyer. In those days BA was the self appointed “World’s Favourite Airline”, keen to say so and aggressive in its marketing. Whilst Walsh had some initial success in throwing off the yoke of history sadly his efforts have been overtaken firstly with the oil price getting out of control and secondly by the world economic downturn. 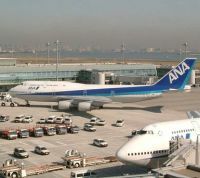 He has stated that it is the worst crisis for the world’s airlines ever although stalwarts of the industry can recall many a very serious problem over the years, 9/11 for instance. 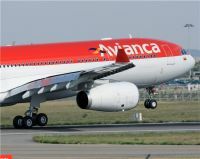 The continued expansion of the so-called “low lost” airlines has not helped, particularly in short haul. The fact that he lost his experienced commercial director Martin George due to industrial politics was another negative factor and some would say that Walsh not being part of “The Establishment” has been detrimental. In PR terms BA has hardly won accolades, firstly with the T5 fiasco and now badly explained cost cutting. BA wants to save £140m from its cabin crew costs and introduce changes to staff practices. It is pointed out that whilst the average BA cabin crew pay is said to be £29,000 pa with a liberal attitude to allowances, typically Virgin Atlantic is £14,000. BA has done much in recent years in reducing outdated employment customs but plenty still remain. Some are still being added. One could argue that Walsh was weak in allowing flight deck operations for the new London City - New York services to be based at Waterside rather than LCY. Marketing at that airport is now two-pronged, Manchester for BA Connect, and London for New York. Bizarre. According to reports Mr Walsh will meet Derek Simpson and Tony Woodley, the joint heads of the Unite union today (Monday 19 October) to try and make progress . Let us hope that the Christmas spirit comes early. A shutdown will not stop business travellers flying, nor for the most part leisure ones either. Foreign airlines would of course rub their hands together. A strike is no good for anyone. 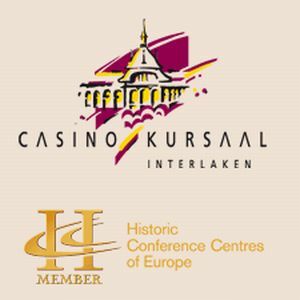 There was a blend of the old (tried and trusted) and the new at the recent European Regions Airline Association’s annual meeting in Interlaken (Switzerland). Checking in at the pretty alpine resort’s cluster of hotels, ERA guests received an invitation to drop by the RUAG stand at the Casino Kursaal and pick up a model of the New Generation Dornier 228 – now relaunched into production featuring a new five-bladed composite prop and glass cockpit. 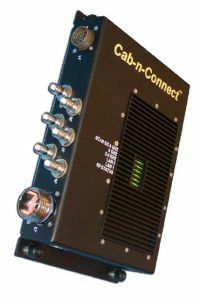 The 228, along with the Twin Otter, was the original Stolport aircraft back in the early 1980s and technology group RUAG is driving its comeback. It will be on the market again in 2010. Bombardier, marking 25 years of the Dash 8-100 this year, announced an extension in the service life of the aircraft from 80,000 to 120,000 flight cycles with its new Dash 8-100ESP. Tyrolean of Austria, long time Dash 8 operator, was first to sign up for the programme. And BAE Systems Asset Management’s Steve Doughty highlighted to media and airline CEOs in the opening press breakfast that now was the time for airlines to be prudent, streamline and re-organise their businesses. They should hold off on new aircraft acquisitions now. Renew that existing lease, wait until the economy picks up, he advised. They should, he suggested, “leapfrog the competition,” and wait for the game-change in technology that aircraft like the C Series will deliver. 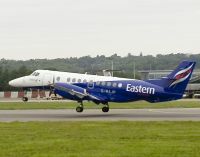 This was, observers remarked, perhaps a veiled reference to BAE’s closest rival, the Embraer 170, now earning revenue at London City Airport – where the BAe 146/Avro RJ successfully soldiers on. The larger 190 is due to get its LCY ticket in December. Nonetheless, BAE remains a credible player in the market and is poised to announce three new contracts, which were not quite ready during ERA week. BAE’s investment in the corporate/VIP market is paying off and it will be taking an Avro RJ to the Dubai Show next month. The company has also turned its attention to a military role for the aircraft. For 10% of the cost of the C130 Hercules, its 146M can perform cheap airlifting and deployment tasks and carry passengers in the back. 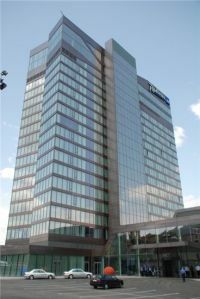 The group has expanded its asset management capabilities to sell third party types too, including Airbus and Boeing jets, Doughty highlighted. 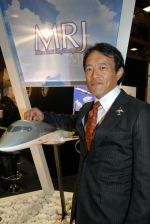 The ‘new’ was exemplified best in the strong showing of Mitsubishi Aircraft Corp, which came to ERA hard on the heels of securing a milestone order from Trans States of the USA for 100 of its new regional jet, the MR 90. While North America is still its biggest market, its goal is to break into Europe. Yugo Fukuhara, MJET’s VP Marketing, talked about a further stretch of the aircraft to 100 seats in a single class with 31 inch seat pitch. The stretch version would complement the 88-seat MRJ 90 and 76-seat MRJ 70, he said. List price of the MRJ 90, which will be the first version to fly (in 2012), is US$40m. The MRJ 70 will be US$34m, available one year later. There were new airline faces at ERA this year. Air Southwest, represented by CEO Peter Davis; VIP charter operator Titan Airways, low cost operator Belle Air of Tirana, Albania and Jetcom, headed by the former head of Crossair in Lugano, Marco Ostini. This new venture airline is planning operations around the new Sukhoi SSJ Superjet. The former Scot Airways, now part of the Air France/CityJet group was represented by Jerry Froggett. Jorgen Nielsen, a long time ERA member, returned as CEO of newly named Cimber Sterling, following Cimber Air’s acquisition of the low cost carrier earlier this year. Family-owned Cimber will mark its 60th birthday next year – a strong achievement. 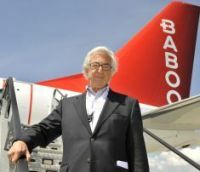 Jacques Bankir, one of the industry’s leading regional airline figures, previously with Regional and CityJet and now head of Baboo in Switzerland, was one of a few airline CEOs that is bucking the trend and expanding with new routes and codeshare agreements (see above). Baboo also enjoys a codeshare agreement with the new Olympic Air and the latter’s debut at ERA, as the successor to the once ailing government-owned carrier, was a talking point in Interlaken. 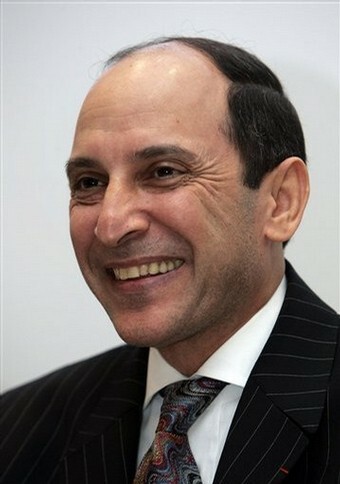 Not least because its new CEO is a familiar and hugely popular face. ERA’s President, Antonis Simigdalas, former boss of rival Aegean Airlines is now the president of the Marfin Investment Group-backed private carrier, which resumed flying on 29 September 2009, after the old Olympic ceased operations. Simigdalas said that in order for the airline to restart it had to give up to 35% of its flying activity, as dictated by the European Union and concentrate primarily on domestic flights and select European destinations that do not include Paris CDG or Amsterdam Schiphol. 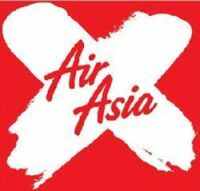 It does not have any long haul services, rather it relies on codeshare agreements with the likes of Delta and Ethiad. 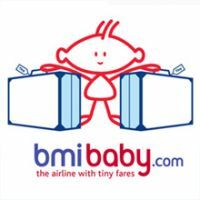 Just last week it signed a codeshare agreement with bmi. 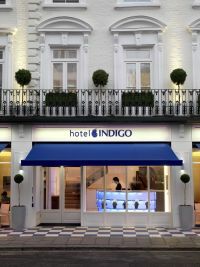 It would like to resume long haul service, he said, but its principal objective right now is to work on the image of the carrier – to be punctual, customer friendly. A big marketing campaign is being launched to support this objective, he noted. Olympic Air currently operates 12 A319s/A320s, eight Bombardier Q400s (four of its own, four from Flybe), for which the company has been working with for support since the summer, two ATR 42s and five Dash 8-100s. It plans to add four more A320s and six more Q400s next year. The fun will start this week when Aegean, which up until now has been flying twice daily services to Stansted, will switch the route to Heathrow alongside Olympic on 25 October. A price war is expected. 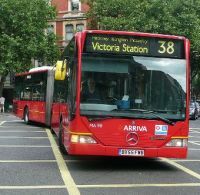 Carpatair of Romania, whose CEO Nicolae Petrov was elected on to the ERA Board, has not given up plans to get rights to fly into London. The airline originally planned Stansted flights two years ago, but LHR is the goal, Petrov said. Delegate numbers may have been down this year – Interlaken not being the easiest of venues to get to, but the mood was cautiously optimistic, considering the tough year members have endured. 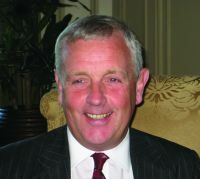 In his Director’s Report, ERA’s Mike Ambrose described 2009 as “the year of aviation’s economic Tsunami – one which has been watched in Europe by many states, politicians and regulators with dispassionate and self-interested indifference.” ERA has reviewed, evaluated and given representation on a total of 696 policy papers this year, he stated. Last year it had 670. “2010 will remain a hard year for air transport, opined Antonis Simigdalas noting that all the stakeholders in the supply chain must bear a share in this hardship – OEMs, airports and suppliers. Some states are showing signs of slow recovery, Ambrose said and pointed to the progress being made in new and/or improved aircraft, such as the Bombardier C-Series, the Sukhoi Superjet’s ongoing flight programme and the launch of the enhanced ATR72-600 series. Recent aircraft orders from Sukhoi and the Mitsubishi MRJ are encouraging signs that industry recovery is beginning, he noted. “The European Commission and the European Parliament have pressed on with their regulatory and legislative programmes concerning air transport regardless of the state of the industry. We must now try to influence the new Parliament and any new appointees in the Commission that what the industry needs is certainty and stability,” Ambrose concluded. We review the Berlitz Guide 2010 and take a look at the market in general. For the December cruise news we will be reporting on Queen Mary 2 and its transatlantic programme for next year. 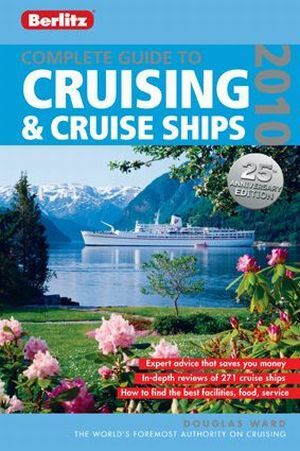 If you are new to cruising read An Introduction to Cruising in the AERBT archive 20 April 2009. If some of the cruising deals promoted over the past year seemed too good to be true, they probably were, according to Douglas Ward, cruise guru and author of the annual Berlitz Complete Guide to Cruising and Cruise Ships. Just published, the 25th edition, remains the only source of independent star-rating of virtually all ocean going cruise ships worldwide. 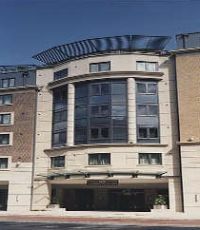 Within the 2010 Guide, he suggests that although it is a buyer’s market, an effect of the credit crunch, it is crucial to study the small print. As cruise lines have taken their cue from outfits like Ryanair which charge supplements for almost everything, the range of add-ons in cruising can take the glow off an apparent give-away price. A highly discounted fare may apply only to certain dates and itineraries, while passengers preferred cabin grades and location may not be available or they may be limited to first seating at dinner. Nevertheless the Guide is packed with tips on how to get the best deals which we learn aren’t necessarily available on the internet. It is a very thick and heavy book, 692 pages as against 686 last time around, but don’t’ be completely fooled. Some of the 271 ships are virtually identical and so are the reviews. For Sapphire Princess read Diamond Princess. Don’t’ bother to study both. And they gain matching survey points. Highlighted are 12 new ships set to debut in 2010. Douglas examines the unstoppable growth of cruising over the past 25 years, what has gone in 25 years (only the Russians and Cunard have sail-aways these days), and what’s new but not necessarily an improvement. There is a fresh new look at Green Cruising, with plenty of advice for those concerned about travelling responsibly. Whilst it claims to be warts and all Ward could be harsher with some of the old ships now past their sell by date. “A lovingly maintained classic” should be compared with the rating score. Any ship with just 1,000 points or less is probably one to miss. However at the other end of the scale Mr Ward clearly likes trying out the top suites, something we all aspire to but seldom attain. The Guide also offers a comprehensive account of the industry today for the more experienced cruiser. At a glance charts compare the major cruise lines for cabin facilities, food and service – their strengths and weaknesses. Check out the tables and charts for 10 Great Shipboard Spas, the Best Choice for Children, the 10 Top Expeditions, the 20 Largest Suites Afloat or the 100 Most Popular Shore Excursions. Ward confirms the various trends in cruising, including more two-class vessels and those banning the under 21-year-olds, an increase in the number of small ships offered, better and more varied themed restaurants, and a serious clamp down on smoking. River cruise vessels are for the most part not listed.